Brand: Golden Grove Trading Inc. 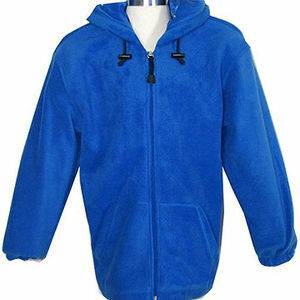 This recall involves about 6,100 children's hooded fleece jackets for ages 6-12 sold in sizes M through XXL in black, navy, and heather gray royal blue. Brand names Golden Grove or Young USA, style number 20K, and RN number 106197 are printed on a tag on the jacket's collar. CVS Stores in the greater Los Angeles area from August 2008 through September 2008 for about $10. Immediately remove the drawstrings from the sweatshirts to eliminate the hazard, or return the garment to the store or to Golden Grove Trading for a full refund. For more information, contact Golden Grove Trading toll-free at (888) 800-3939 between 8 a.m. and 5 p.m. PT Monday through Friday.